Nova Bath is a family-run business that specializes in luxury kitchen & bath fixtures and is serving its clients, interior designers, consultants, contractors and custom home builders for over one decade. 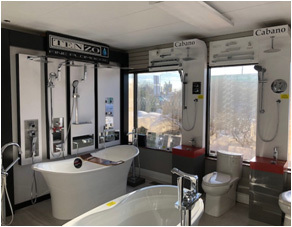 Visit our retail showroom in Oakville for a large selection of bathrooms and kitchen fixtures from world’s most popular manufacturers. Nova Bath Bath strives to create and provide the most unique experience through innovative services and exclusive products that cater to the needs and tastes of the most discerning individuals. Innovation and style are the values that have been inspiring Nova Bath to redefine luxury for people fond of design. Nova Bath being authorized dealer of many industry leading brands such as Toto, Kohler, Duravit, Blanco, Grohe, Franke, Hansgrohe, BainUltra, etc. not only display or stock products but also offer you installation services. We have crews to look after your partial/complete renovation work. 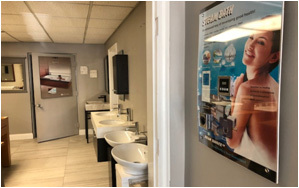 Nova Bath offers a variety of standard and custom cabinets to suit every bathroom/kitchen and stocks many brand-name faucets, sinks, tubs, frameless showers, heated floors, the state-of-the-art kitchen back splashes and design vent coverings, etc. The staff has experience and customer-oriented attitude to meet your expectations towards your bathroom and kitchen without breaking your budget. Nova Bath ensures the highest degree of customer satisfaction and loyalty. You will always be treated with honesty and integrity as we provide you one-stop shop solutions for all your kitchen and bathroom needs. Discover superior quality Canadian, American and European products in our showroom for your kitchen renovation or bathroom remodeling.